Having connectivity issues with the ProtonVPN Windows client? Read on for a checklist of things to solve your situation. For Windows, ProtonVPN is available in the form of our own ProtonVPN Windows application. It provides the easiest to use interface and you can connect with just a single click. However, in certain scenarios, you might experience some connectivity issues when connecting to the ProtonVPN, and any VPN for that matter. There are a number of factors which can cause these issues and below you will find the solution to the most common scenarios. Solution: Make sure you are properly connected to the internet. Depending on your provider and device, contact your network administrator if needed. VPN connection fails due to TAP driver error. 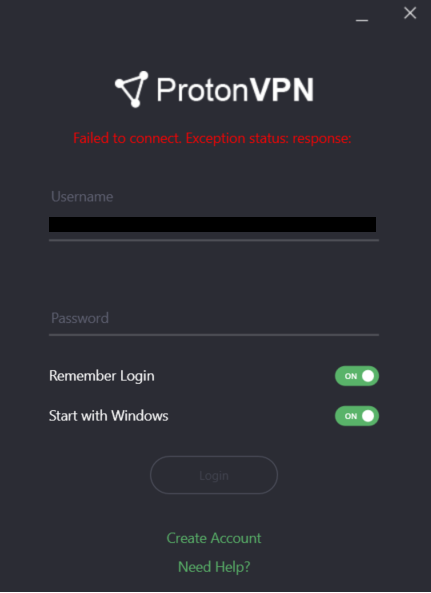 Symptom: Starting and logging in to the ProtonVPN Windows client work fine, however, when connecting to a server, the connection fails. Cause: The TAP adapter might be corrupted during usage or while installing it on to your system. Also, you might not have all of the required security updates on Windows to use it. A – Reinstalling the TAP driver. 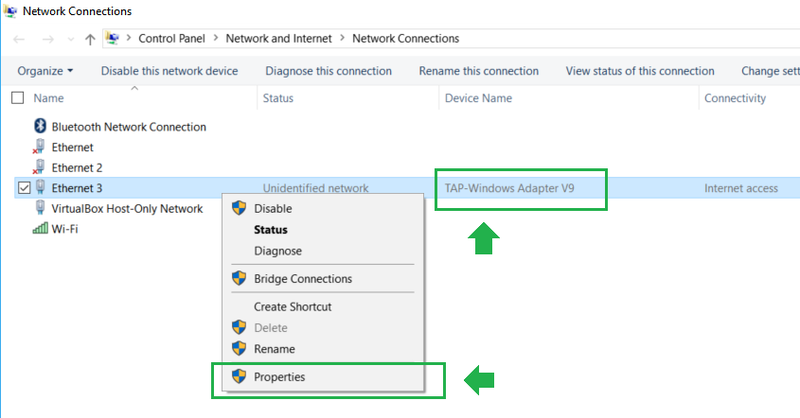 Please go to Device manager > Network adapters > find TAP-ProtonVPN windows adapter and right click to uninstall it. B – Updating windows with latest security updates. (this is the most common issue for Windows 7 users). Cause: The TAP Adapter is improperly configured such that the ProtonVPN client cannot correctly establish a connection. Solution: A solution for this issue is to make sure the DNS addresses in the TAP-adapter to be automatic. Right click on the TAP-Windows Adapter V9 adapter and select Properties. 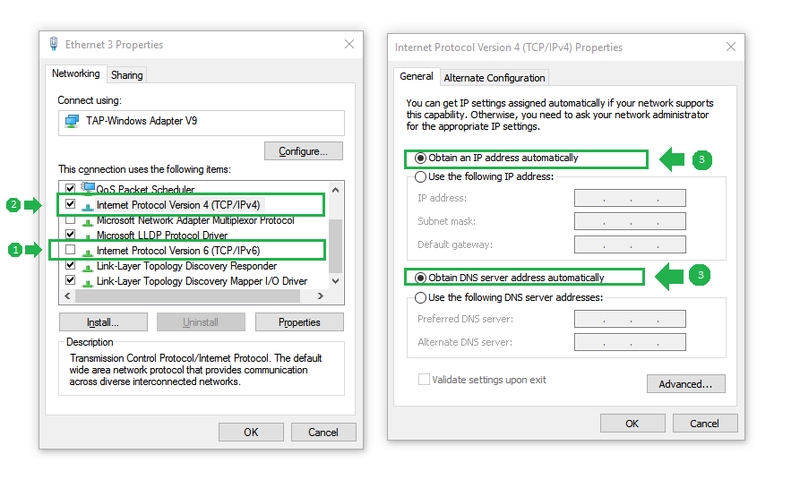 Uncheck IPv6, select IPv4 and right click for Properties. Finally make sure that both IP and DNS servers are set to automatic. Cause: Likely due to hitting maximum number of connected devices and/or too many recent connections (attempts) that were not properly terminated. Make sure that you are not exceeding your connection limit. Different plans have different number of connected devices. Make sure that you do not have a device in the other room that is still connected. Check out our plans for more details about the different options. Wait about 5 minutes, and retry connecting to a different server. Our servers periodically “clean up” old and inactive sessions. If you’ve had a connection that was not closed properly (think, wifi dropped, device crashed or similar), our infrastructure will detect and close such connections after a certain waiting period. Symptom: Establishing a VPN connection works fine however Browsers do not resolve any URLs. Cause: This symptom can be caused by an improperly configured DNS settings which do not get updated. 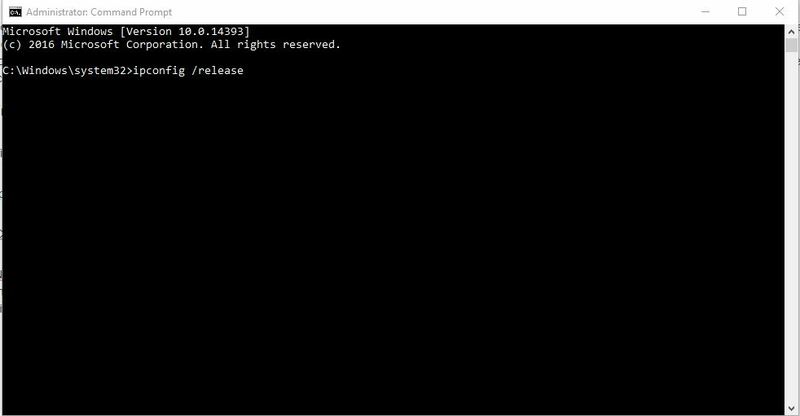 Solution: Enter the following commands into the CMD (command prompt). Please note that you’ll need to have administrator rights for this step. After you’ve entered the mentioned commands, restart your computer just to be sure and try to connect to the VPN. In your report, please include the connection logs, so our support team can isolate the issue and provide you an adequate solution. why my VPN not work, please help ! 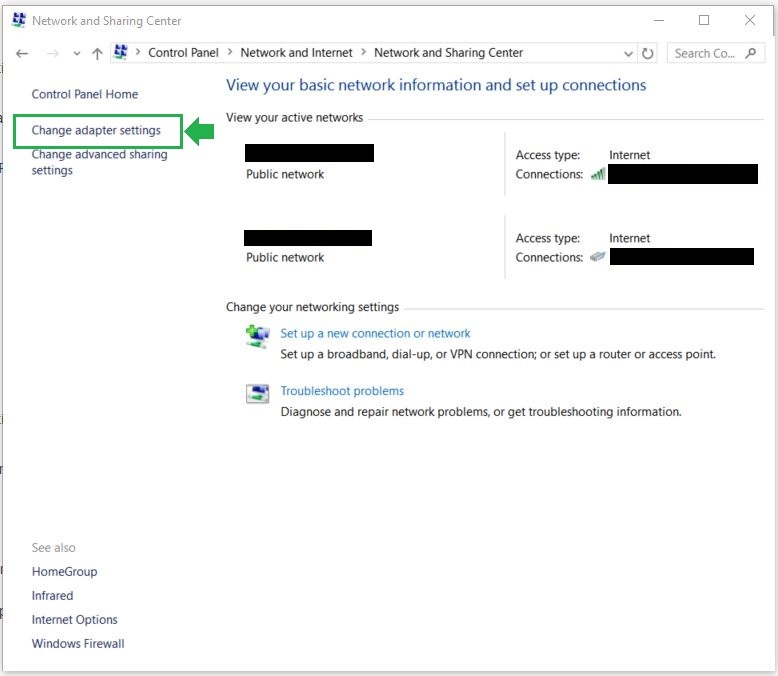 I use your VPN (last version) for my PC with Win10-64 without problem. IN last time I sometime lost original internet about 1-3min. After I got internet your VPN can not reconnect and I lost VPN. How to solve above problem. Hello Radenko, that is probably because the application tried to reconnect for some time and failed to do so, and since so, it stopped to reconnect since there was no internet and it could do nothing, so when internet came back, you had to manually reconnect to the VPN. I have used Proton VPN for a while now. I have always had an intermittent problem with connecting, being told that killswitch is blocking connection, but now the problem is permanent and I haven’t been able to use Proton for a long time. Other VPNs work fine. Any help appreciated.. I tried out Proton-VPN this weekend and at first glance it worked very well. Therefore first of all, I’d like to thank you, for this nice piece of software! – It was not possible to use my regular ethernet-adapter anymore (Without Proton-VPN). OnlyWiFi still worked. After I uninstalled ProtonVPN, everything started working again as before. Connection fails on Windows XP using OpenVPN client. it doesnt work on windows 10 without aplication what can i do ? Hi,i am a free plan user. But these days i found i can not connect internet .Every time i try to connect it shows ”time out”. How to resolve it?Thank you. My VPN seems connected, but I can’t access the internet. I thought maybe its a DNS issue, but even direct IP addresses don’t work. I did everything said in this page, still no luck. Hello Jack, we would suggest contacting our customer support team for detailed investigation as there could be a few cases why this happens. i have the free version of protonvpn 1.5.1 (hopefully current!) and whenever i choose netherlands free vpn, my google search page becomes arabic ? why would it do that only when using netherlands free vpn? surely it should be nordic google? maybe i dont have the latest version but the update button is greyed out in the taskbar app…! Hello Alfie. The best site for checking the proper connection is http://www.ipleak.net What google shows could be inaccurate due to the data centers that they use to determine the IP origin and location. It could be wrong data written in their database which needs to be rectified. Sometimes my internet connection goes away for some minutes and then comes back. Meantime, the VPN displays something like “connection timed out” and, as I use kill switch, I’m not able to recover internet without reconnecting by myself the VPN by clicking. Why doesn’t the VPN reconnect automatically, even after the “connection timed out” message? I specify that it is really important for me the VPN could do so and that I also bought it for this particular use. Please tell me what solution i could implement. Hello Yvan, since the internet is lost, the openvpn client cannot reach out for the server when trying to do so , so it gets an error which stops the whole process of it. When recovering internet, it does not scan if its up and running or not, since the process is already stopped and not running in the background, thus you need to manually “tell” the client that you can reconnect now, the internet is here. Currently we do not offer a feature that will reconnect you after the internet has been recovered from a loss. I get some “TimeOutPolicy” error when I try to connect. What’s that? No explanations and no tips how to solve it. Weird. Hello, please contact our customer support team for detailed instructions on what to do to help us out identify the issue. Hi, I’m using ProtonVPN v.1.3.6 and Windows 10. When I click on Login button It shows an error “An error occurred while sending the request” . I reinstall TAP driver and also make IP and DNS automatic but still doesn’t work. Hello. I’m a plus user. There was an option to select the profile to connect automatically. Where is it? I selected the option to connect automatically, but I want to select a custom profile. Hello Jin, the next application update will have more features than before, so stay tuned and your desired auto-connect to profiles will be back! Hi. Using Windows 7 paid basic customer. Protonvpn connects fine when pc reboots but does not auto-connect after waking up from sleeping. I have auto-connect enabled in settings. Hello Bob. Windows acts differently in comparison to mac and it kills all of the processes that are running to save power when putting your computer to sleep. Does it happen when locking and unlocking the windows? Windows Key + L ? I live in Turkey. I can successfully login to ProtonVPN but can’t access any website. There wasn’t any problem a week ago. Hello Michael, its most likely that your ISP started blocking our services, as a prevention for free internet. can pronton vpn connect through shadowsocks? This might be because you are not able to reach our API while connected trough those proxies. We haven`t tested that yet with shadowsocks , but we will do so to find out if it works or does not by the nature. Connections keep timing out. Will not connect to any servers. I have uninstalled, removed from network adapters, and reinstalled, with no luck. Please help. Having the same problems, have you had any luck yet? hello I was using VPNs over Turkey in proton-proton but today I can not connect to the VPN. Its most likely that Turkey blocked access to our VPN services. Please contact our support team to see if we can do anything about it. I have paid for the 2 users, all countries and high speed which is 48 Eur. I did that for more than five hours now. When I want to connect they still ask me to upgrade. Kindly solve the problem for me. Thanks. Could you please try to log out and log back in to the application, finding log out button on the top left of the app, when clicked on 3 horizontal lines. Please contact our support team with all of the information you provided here and we`ll do our best to help you out. Please uninstall our application, then go to Device manager on your pc, – network adapters – Uninstall TAP-ProtonVPN and then restart your computer. After doing so, install ProtonVPN application again and test the connection. If you still face the same issue, we recommend contacting our support team via our support form. ProtonVPN is working perfectly on my Raspberry Pi. BUT no luck with my Win 7 32 Professional on my netbook. The App crashes upon authentication with a bluescreen. Uninstall, delete appdata, delete TUN-TAP, reistall to no avail. Same again. Could you please contact our support team with more detailed information about your system? Log in successfully but cannot connect any server, always “time out”. Only on PC, it works on my mobile well. 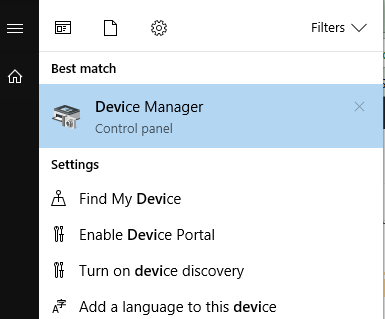 Could you please Uninstall our ProtonVPN application, then go to device manager on windows – locate network adapters – then expand it and uninstall ProtonVPN TAP adapter? Noticing strange activity while connected to ProtonVPN lately. Whenever I’m connected, even if there is no user activity, I see that there is an enormous amount of traffic/data being downloaded. Disconnecting and reconnecting solves this. Is this a bug? Why is this happening? I recently just installed the VPN but am having no luck connecting to it – I am using the free version. Can you offer any help? I’m having a problem recently with ProtonVPN. My problem basically I can log in no problem but I cannot connecting to any server. -(IMPORTANT) Open up the %LOCALAPPDATA% or C:\Users\Your_Username\AppData\Local and delete the ProtonVPN folder found there. i still get Bluesreen by establish VPN Tunnel by Windows VPN Software under Win7 pro 64 Bit. Thats happen again and again after checking username and password. The Error message are like “IRQ are not equal or less” or like this. They are no other problems with the pc. From my opinion it sounds like ethernet driver. Depend on this, I installed the newest one. The Bluescreen still come by establish VPN Tunnel. Hey Leo, your issue might require some extensive troubleshooting, so it would be best if you could contact us via https://protonvpn.com/support-form and our technicians will help you out! This is not ready for prime time, unreliable for me. I’ve installed/uninstalled twice. VPN on windows works for awhile and then suddenly can’t connect or log on. Troubleshooting didn’t work for me. Android also unreliable. Sticking with PIA for another year. I’ve done everything that was explained but my username and password will not work; I did click on the option to reset password, but it gave me a reset code, and I cannot use that as a temporary password. I tried it in the password field along with my username, and I keep getting the error “Incorrect Login Credentials”. How do I login? Hey, at first please check whether you are able to log in to ProtonVPN website. Also, please keep in mind that both your username and password are case-sensitive. Hi Marco, please drop us a line via the support form and we will contact you to trouble shoot your case in more detail. Thanks for your support! Hi. I have been running ProtonVPN (free version) since its launch and everything has been working fine. Today I upgraded to ProtonVPN 1.0.4.0 as recommended and ever since then ever time I launch the VPN I get an error message saying “failure to resolve free server IP address”. What am I doing wrong please? I must be doing something wrong, but I can’t guess what. I have long been using Windows 7 on my desktop PC with the TOR Browser and ProtonMail. When I couldn’t get into, e.g., my bank account, I added Kaspersky Safe Banking. Not sure what it does, but at least I get there. When ProtonVPN came along, I added that (the free version), but it would frequently drop its connection, which was tiresome. And I don’t understand what it does for me; I still need everything else. When today’s upgrade came in, I took it, but it wiped out TOR and its Firefox Browser, so I undid it by restoring yesterday’s system. Do I really need ProtonVPN? 4. I use(d) OpenVPN GUI along with another VPN provider whose been in VPN game for 20 years, over 3,000 servers, 200 countries, and all that good stuff. The ONLY way I got ProtonVPN to work consistently maintaining quick speed, few to no drops (over past 2 months) was to uninstall and remove OpenVPN GUI and all associated files, configs, etc. and do the same for my extremely fast VPN with top notch security intrusion prevention, etc. THAT WAS NOT EASY. However, my utmost concern is security for my business and my clients. That said, I respect & trust ProtonTechnologies (reference the email we all received circa 2 months ago regarding a large-scale hack attack Proton endured. Did the large scale Proton intrusion attempts severely effect us as users in negative way? Nope. Proton preemptively segmented servers used, and continued to encrypt user data in transit in addition to maintaining strong encryption on data at rest. Most want super speeder connection speed understandably, but personally I’m more than happy to sacrifice a few minutes a day in return for impeccable security. Proton most likely would’ve slid under the radar avoiding customer scrutiny had they decided not to email users. After all, it didn’t appear to impact us users much. All that said, ProtonVPN informed customers ASAP knowing they stood literally nothing at all to gain. They could only lose, and potentially lose very big with a mass customer exodus. Despite the unfortunate situation, Proton took the road less traveled and were honest, ethical, and up-front throughout. That day for the first time I actually gained some trust in a tech company. Never thought that would happen. Directly after Proton’s transparent email blast, Took deep look at OpenVPN GUI & other VPN Provider who supports UDP, TCP, IPSec, L2TP, IKEv2, OpenVPN(tcp & udp). Now NONE of my VPN Clients could resolve at all, no connection, nothing. TOR actually would resolve. However, when I returned to my websites and other ip destinations using TOR vs my typical OpenVPN, IPSec/L2TP, or IKEv2, every site was either blocking my incoming request bc I was using TOR or the sites that answered my incoming request made me jump through 1000 hoops to establish who I was, verify myself, and continually reverify ultimately forcing me to reset most passwords for said sites. It was a pain. After clearing all OpenVPN remnants and strictly utilizing ProtonVPN, I have not had a single issue since. Killswitch dropped internet once (for about 3 seconds) and quickly reconnected back good to go and secure!! DO NOT FORGET THAT EMAIL. I repeat, do not forget it. You may not see written correspondence like that again. Everybody has their own agenda. Rarely do we get to see a company’s true agenda. It’s often masked with layers of mush & telling us what they think we want to hear. Proton Technologies showed their hand and that was potentially sacrificing themselves for the betterment of users. Thank you Proton!! And if anybody knows the technicalities of why OpenVPN seems to get crissed-crossed at times when you use VPN on the reg that’d be awesome. Hope this helps! Thanks! I have no problem connecting to a standard vpn or any of the p2p or tor vpn’s but the secure core I cannot connect to. my connection either times out or fails everytime. My subscription is specifically so I can use every type of vpn connection, especially secure core and now I can’t. How can I approach this?